It’s fast and exciting both to participate in and to watch. 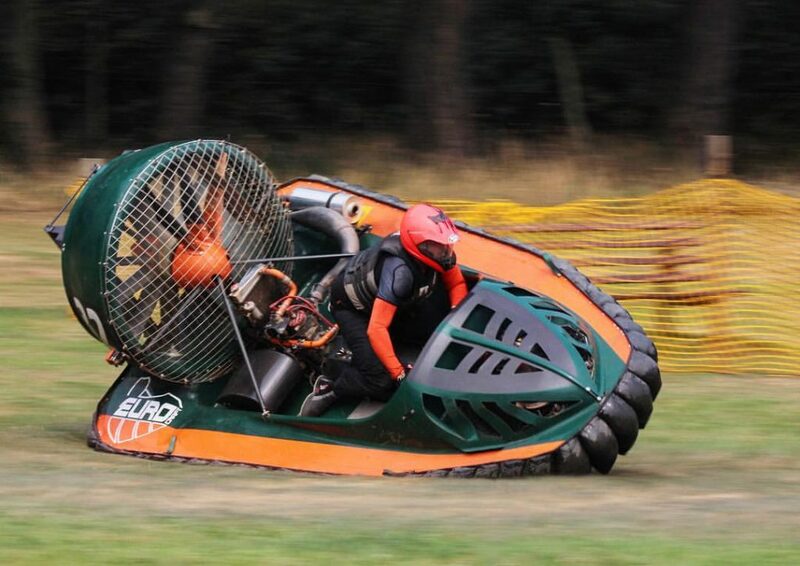 “The Most Fun You Can Have With An Engine!” Jeremy Clarkson, Top Gear. 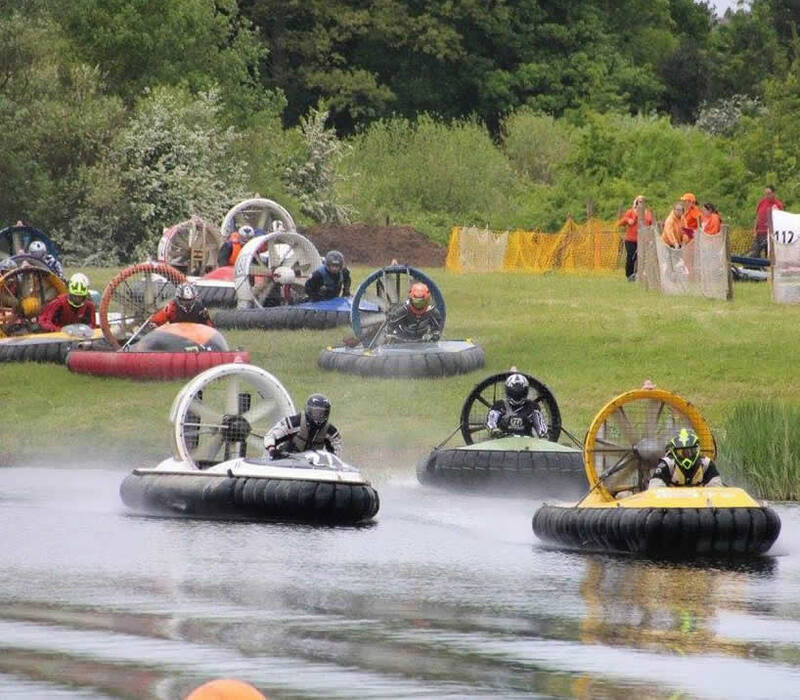 The Hovercraft Club of Great Britain organises a national racing championship, contested over six to eight racing meetings around the country each year. 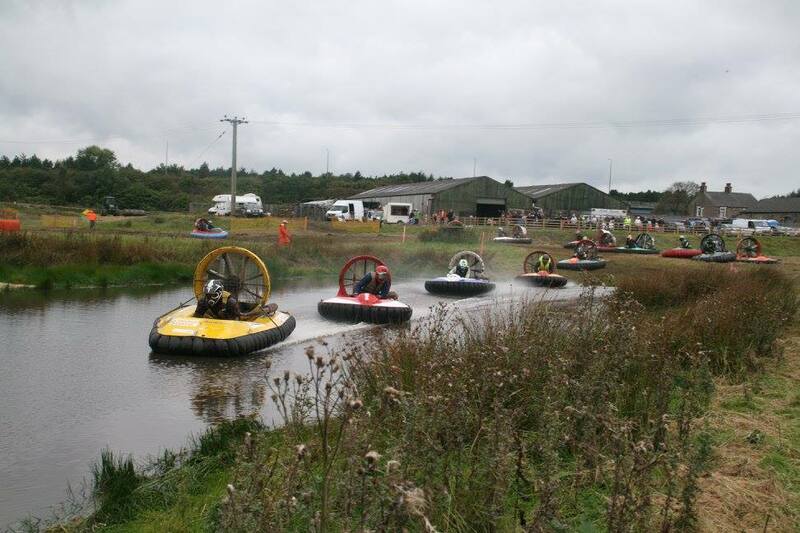 These meetings are usually held over a weekend or bank holiday weekend and take place up and down the UK, courses made up of both land and water sections. During a racing weekend there will be a set of practices each morning and one or two blocks of racing in the afternoon. 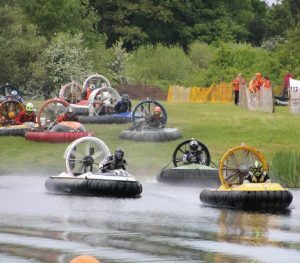 As part of the weekend members of the public will be invited into the paddock (pits) to take a look at the hovercraft and have a chat to the drivers, mechanics and families. 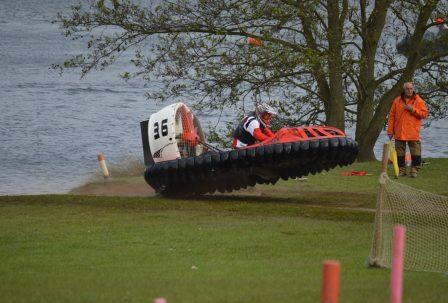 Hovercraft Racing is a very family friendly sport with many roles to keep all the family happy, such as Marshalling, Mechanics, Spectators and Racers! In recent years the Junior formula has grown from strength to strength, a great sign for the future of the club. 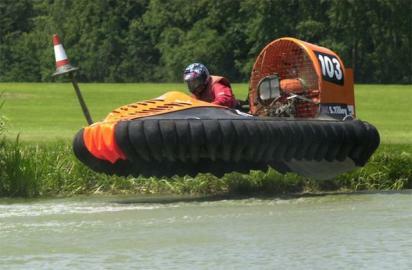 Formula 1 Hovercraft are the fastest and most exhilarating out there on the course! 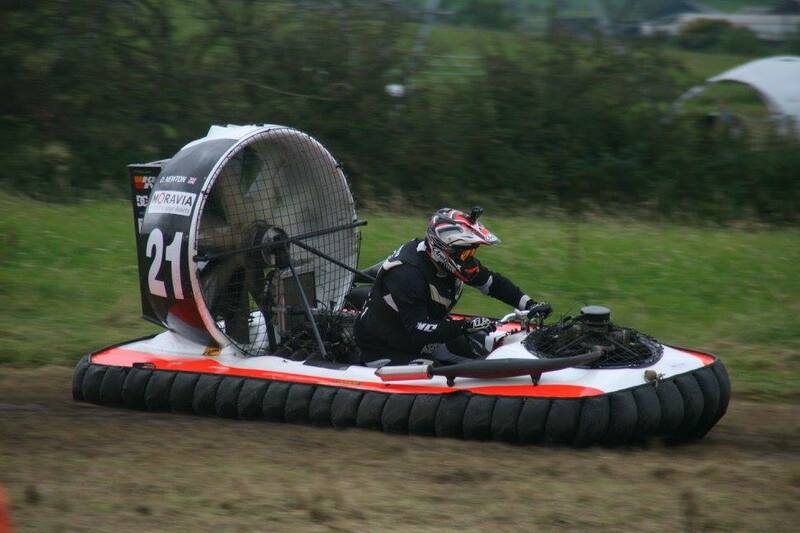 It requires great skill to race one of these machines! Normally with 2 engines, one for lift and one for thrust. 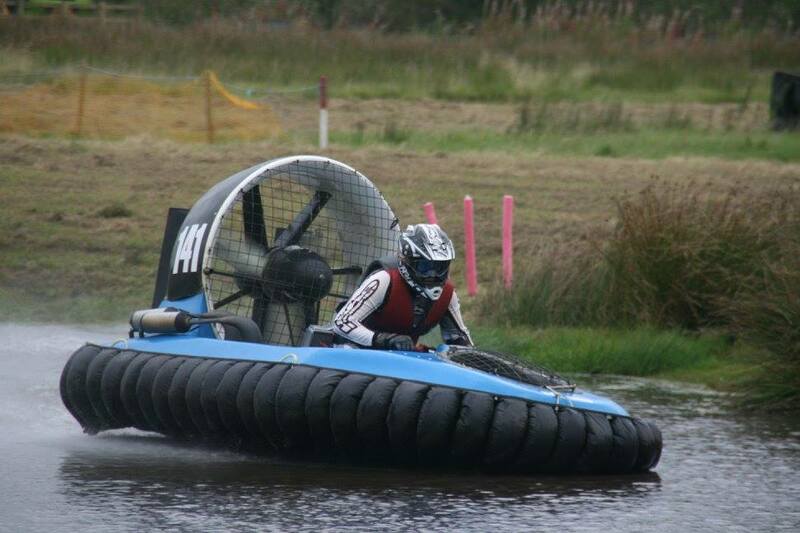 They have upwards of 160hp thrust which are normally 2 stroke snowmobile engines! Although. you will find some that have 200+hp if you have deep pockets to buy them and keep them maintained. 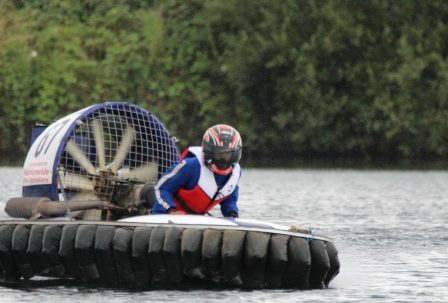 The top craft can achieve 0-60 in under 4 seconds over land and water, with speeds that can reach over 80mph. 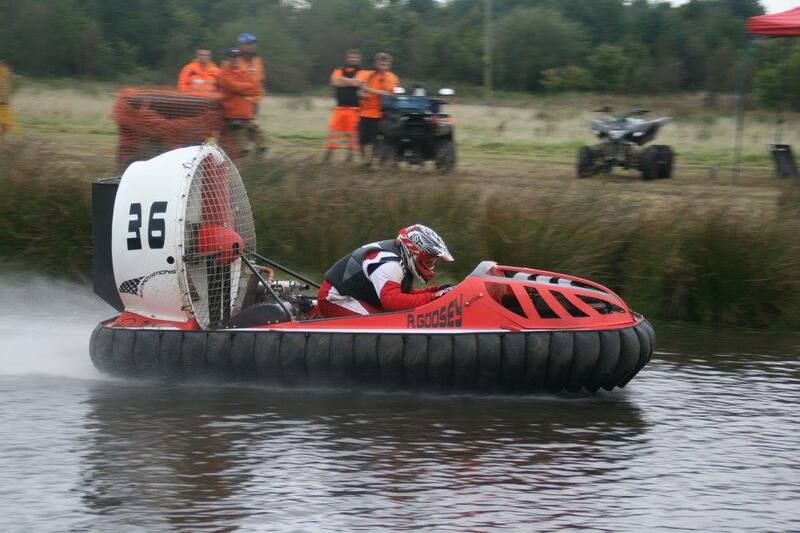 Under the current regulations neither novice or juniors are allowed to race them. 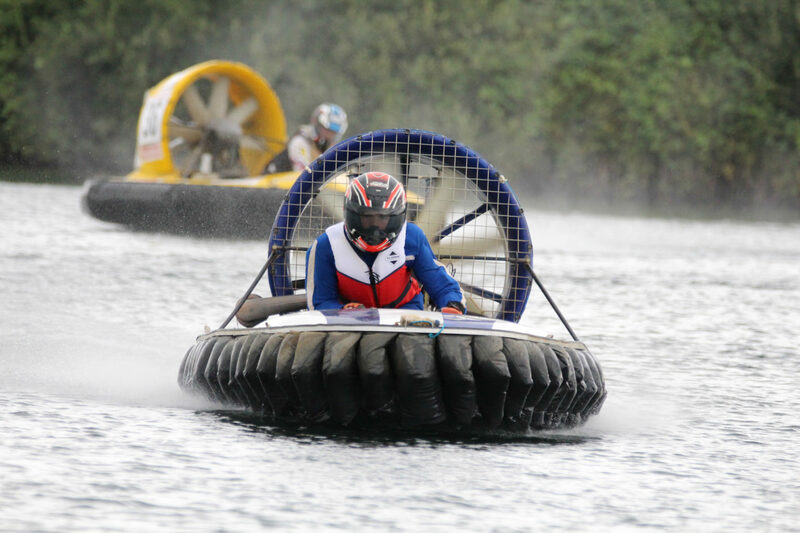 Formula 2 in recent years has proved to be a competitive formula with both integrated and twin engine hovercraft competing against each other. 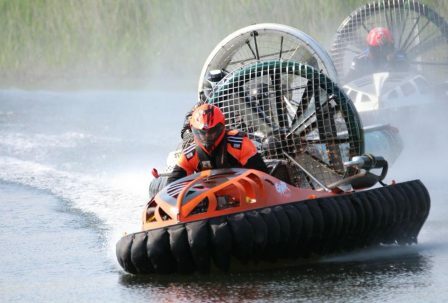 An integrated craft is a single engine craft that provides both lift and thrust. 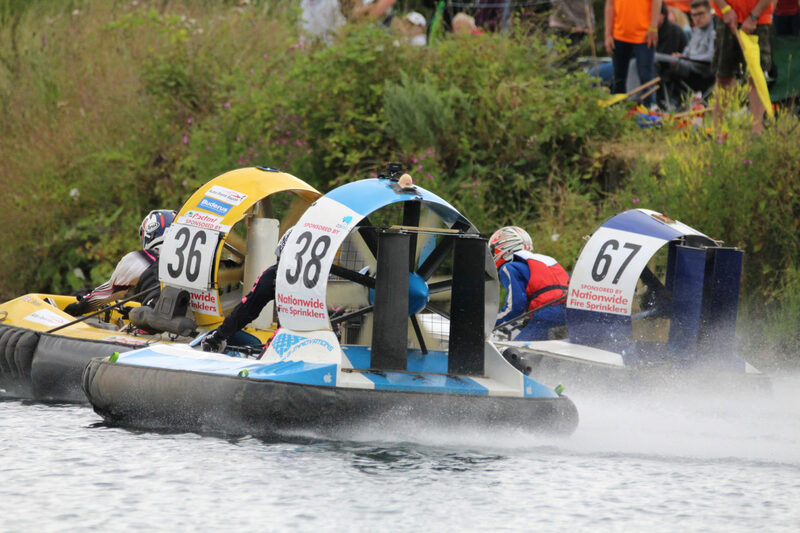 At the 2016 World Championships there were 26 formula 2 craft in the field, so with some very tight close racing there isn’t always space to manoeuvre away from the thrust air in front of you. 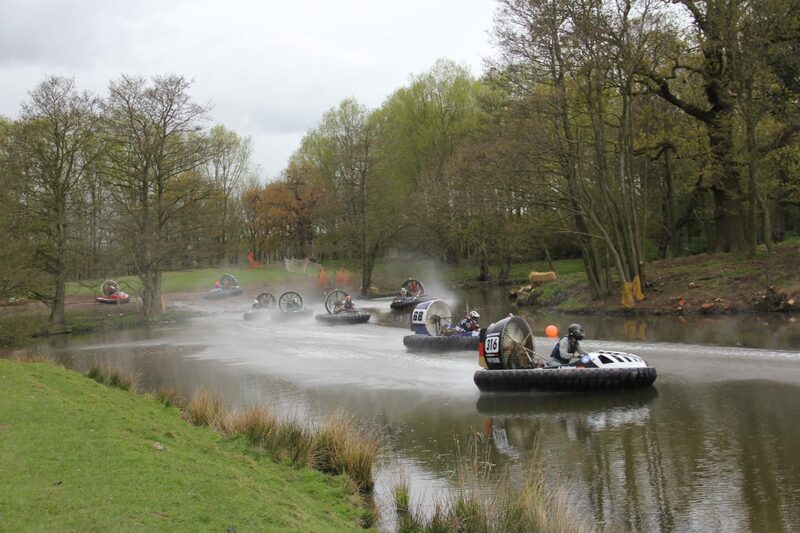 Their top speeds are touching 70mph and although don’t accelerate as quick as the F1’s, around some of the courses will give some of them a run for their money. 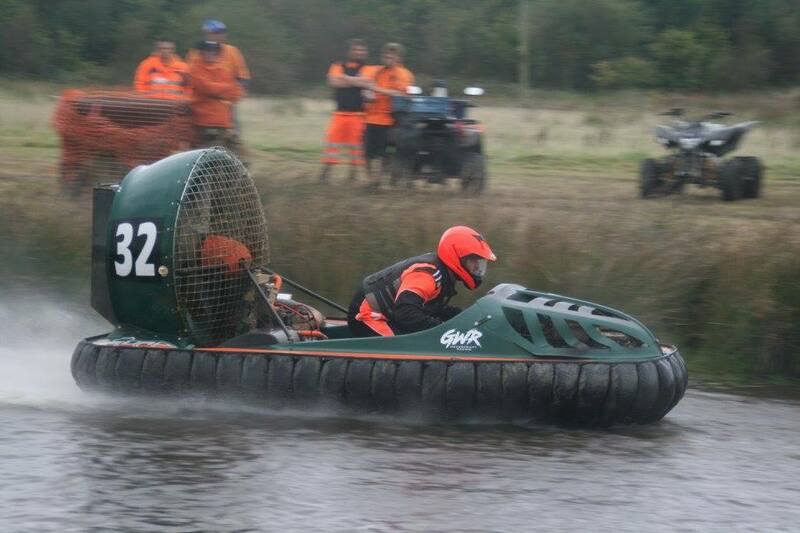 Formula 2 racing craft are limited to 750cc 4 stroke or 600cc 2 stroke. Juniors are not allowed to race these craft. 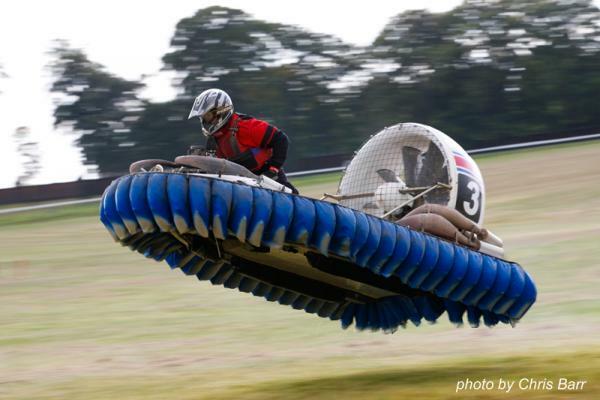 Formula 35 racing hovercraft are limited to a combined horsepower of no more than 35hp. Engines are light industrial 4 strokes which are quieter and more fuel efficient than any of the other formulas. F35 can be used as a junior craft and many are also suitable for using as cruising craft making them a great all rounder. More and more F35 craft are being built and raced each year, an exciting and upcoming formula. 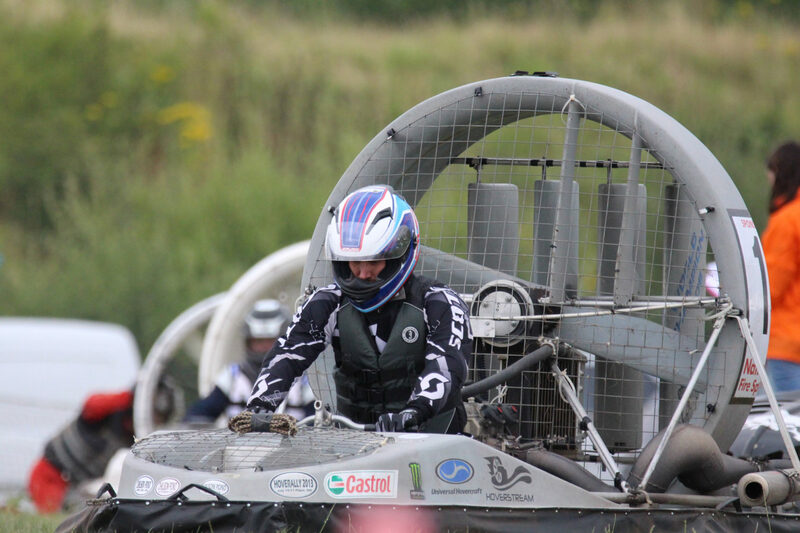 Formula 50 is limited to a single fan and a Rotax 503 engine (variants also accepted). The engines must be standard but the hull itself can be anything with a single fan. Formula 50 is a very tightly contested formula providing great racing both to watch and participate. 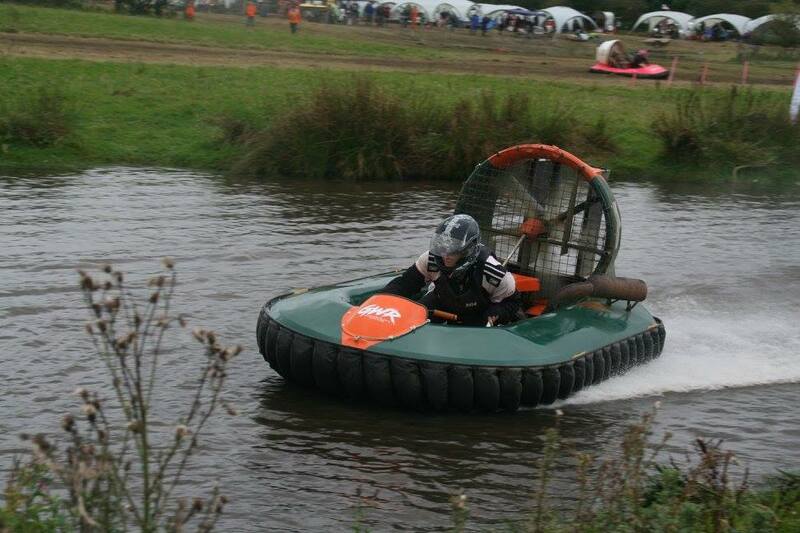 Open races are just as serious as the main formula but add a bit of fun for the racers. It is open to all craft except Novice and Juniors. You would think that the F1’s would walk away with everything but this is not always the case as it’s not all about acceleration and speed. 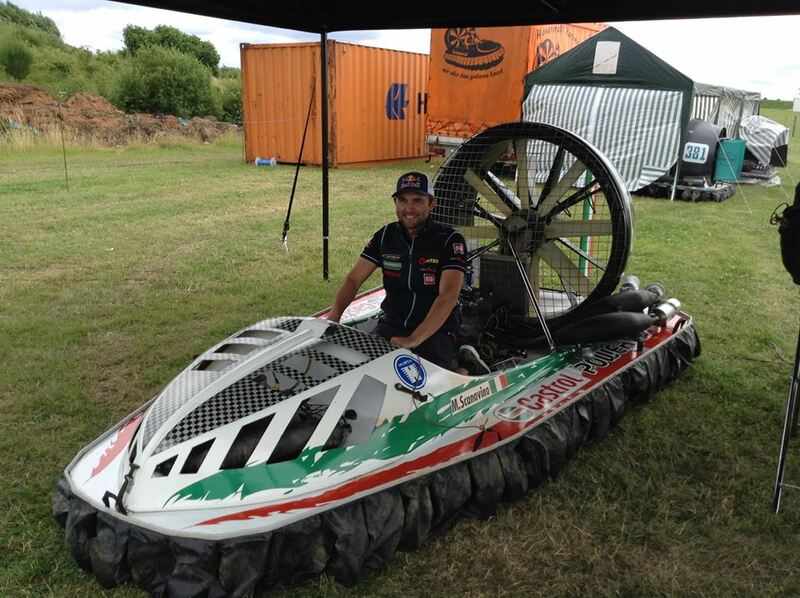 It’s also about reliability and at the end of the year when the points have been totalled up Formula 50 and Formula 2 hovercraft tend to dominate this formula. A Junior Racer is between 11 years and 16 years old. 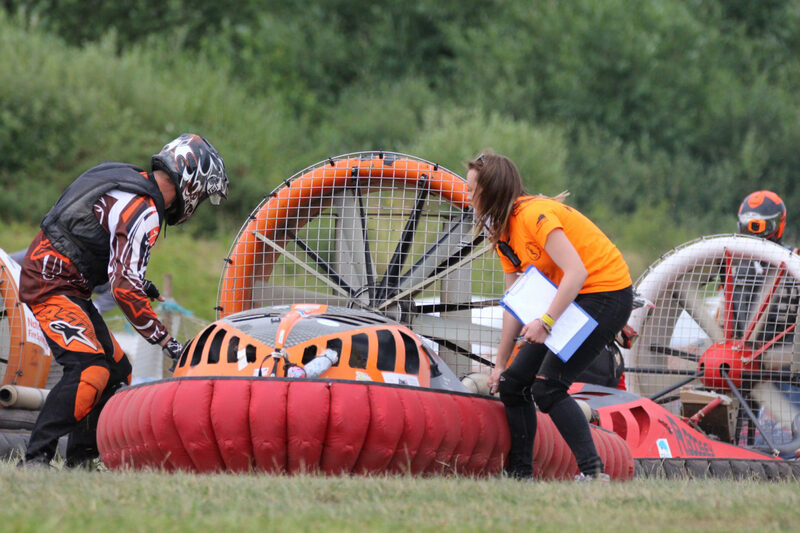 To race you need to have passed a handling test and verbal questioning of the understanding of the racing rules. At each race meeting you get to practice the course and if you are confident enough you race other juniors in a normal length race twice a day. You will have sessions with an experienced young adult racer to mentor you through the season. 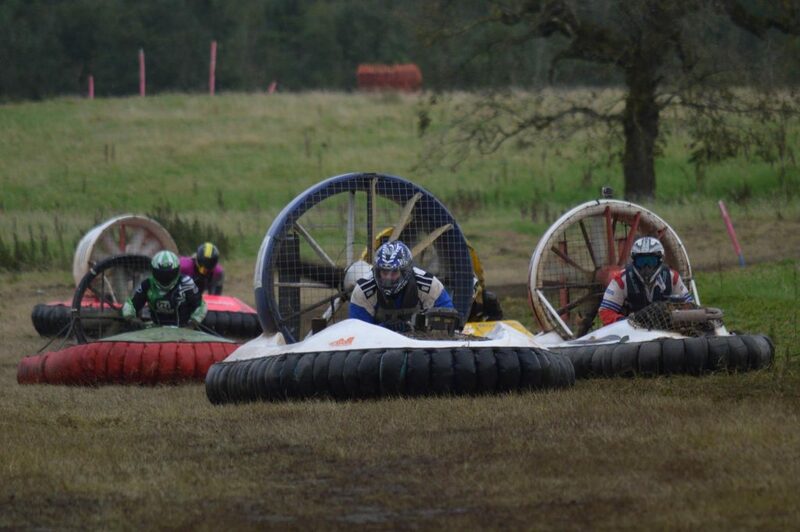 Racing as a junior is friendly, you always apologise for impeding another racer and you help each other out if you can. Your engine power needs to be limited and you are also limited as to which engines you can use. 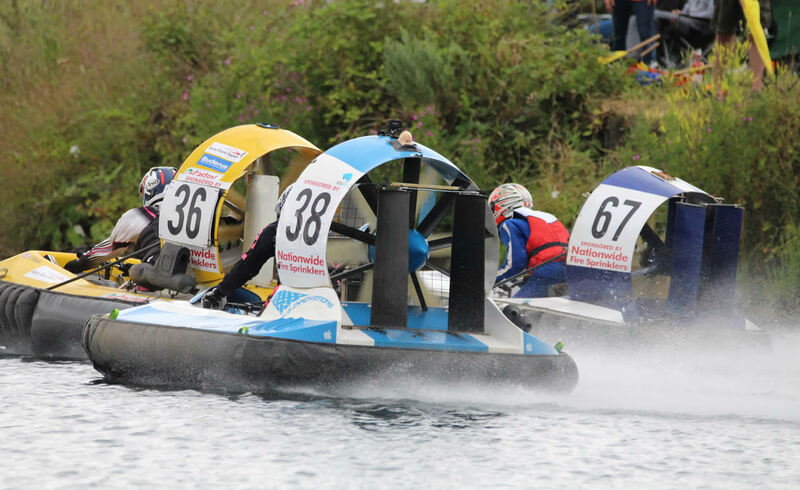 Essentially they are either Formula 3, Formula 50 or Formula 35 engines craft. 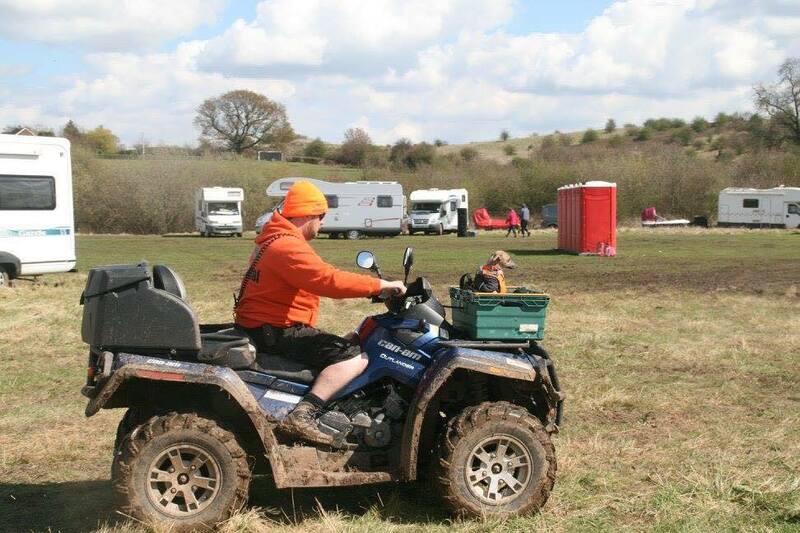 Novice racer, you can be 16 to 61 plus, usually you are a complete novice but sometimes you are up against returning drivers whose licence has lapsed. 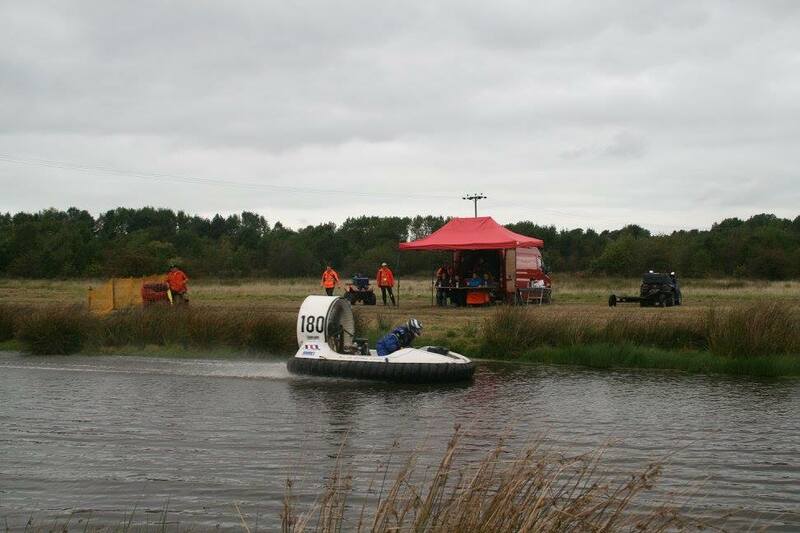 You must have passed a manoeuvrability test and answered questions on the racing rules and procedures. 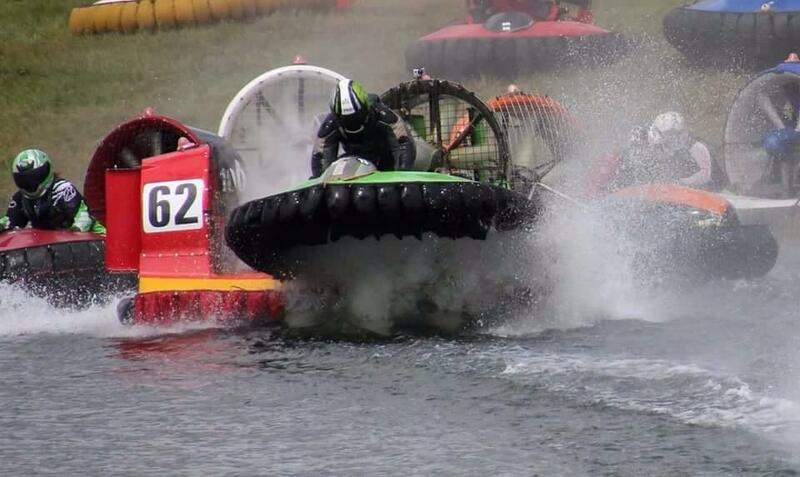 You get a practice session to learn the course and two races a day. 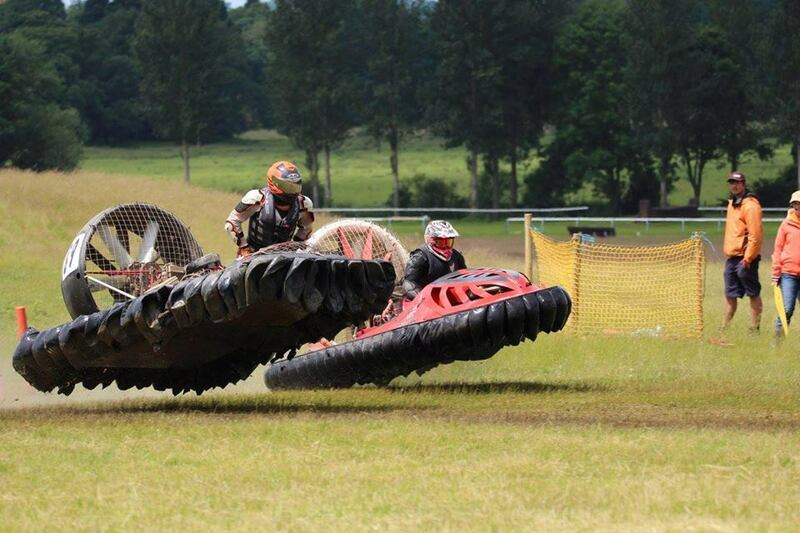 Each race is 10 minutes plus a lap. 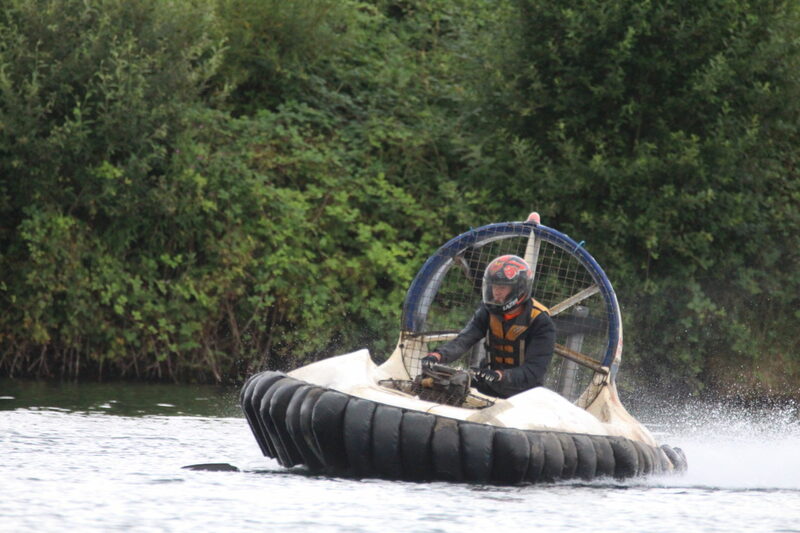 You can use any type of craft except formula 1. You need two good seasons after completing Novices in a fast craft before you can upgrade. 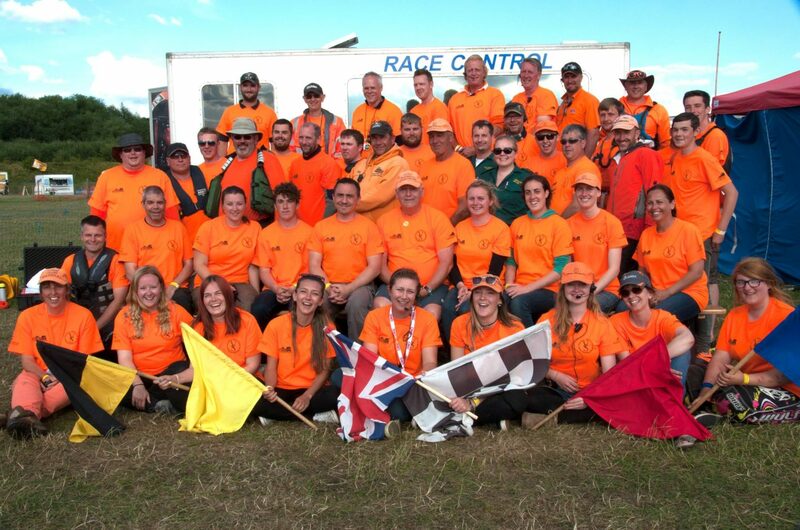 To complete your novice racing you need to complete 15 races in two seasons, marshal 10 races, and have your last 5 races reviewed by the Race Director and if he is satisfied you are given your full licence and can move up into the formula your craft is built for.